A price spike on beans puts coffee drinkers in a black mood. As the Specialty Coffee Association of America descends on Portland for its annual convention this month, some believe the black brew is returning to its original status as an exotic luxury. 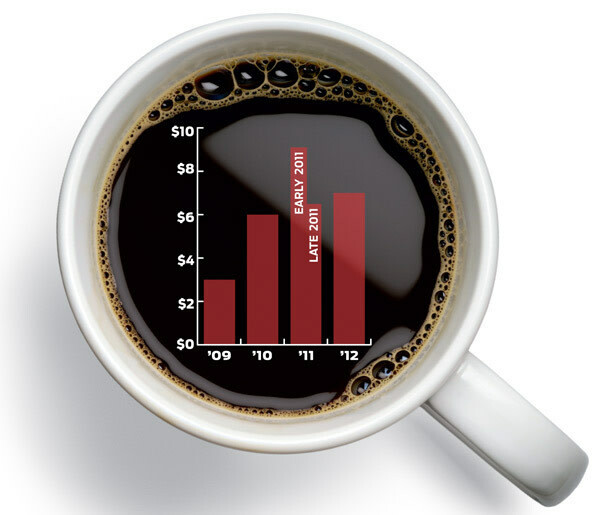 For now, price-sensitive coffee lovers might find this glimpse of Water Avenue’s own costs per pound of Kenyan AA beans as sobering as a triple Americano.